For more than 15 years, the Pacific Beach Coalition alongside teachers, school administrators, and parents have built collaborations and realized great achievements in connecting students to nature and engaging the next generation of Earth Heroes in coastal stewardship. It began in 1998, when our meetings were held at the former Sharp Park Elementary School (now Ingrid B Lacy Middle School) increasing access to educational programs and hands-on activities that included student projects, assemblies and the launch of the popular annual “Oceans Week” held to inspire stewardship. Today, more than 15,000 young Earth Heroes each year learnthe importance of their role in protecting our ocean and beach habitats by applying classroom learning to taking action in the field during Adopt-A-Beach programs, native habitat restoration events, Earth Week and Earth Day of Action, and Coastal Cleanup Day. Create an Earth Hero team in your classroom. Share your students’ and school’s enthusiasm for our beaches, native habitat, wildlife and ocean with us! Our school presentations are supported by field programs that offer experiential learning during outdoor adventures. We understand time limitations, and work with teachers to create and coordinate projects, or enhance curriculum with hands-on learning that align with common core and national science standards, earn extra credit or fulfill community service hours. Because a project or activity can be unique, the most useful approach is usually a one-on-one consultation to assist in designing and planning activities that meet learning goals, and have a rewarding impact on students and our community. 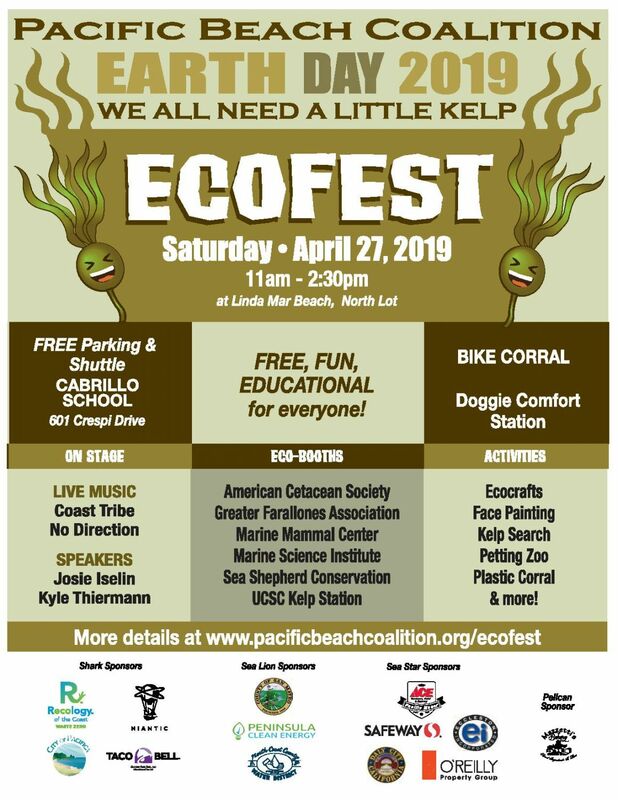 In addition, students, teachers and parents are always welcome to attend our public education events such as film nights and tap into our online educational resources focusing on our annual environmental theme to enhance and reflect on the meaningfulness of projects with students. 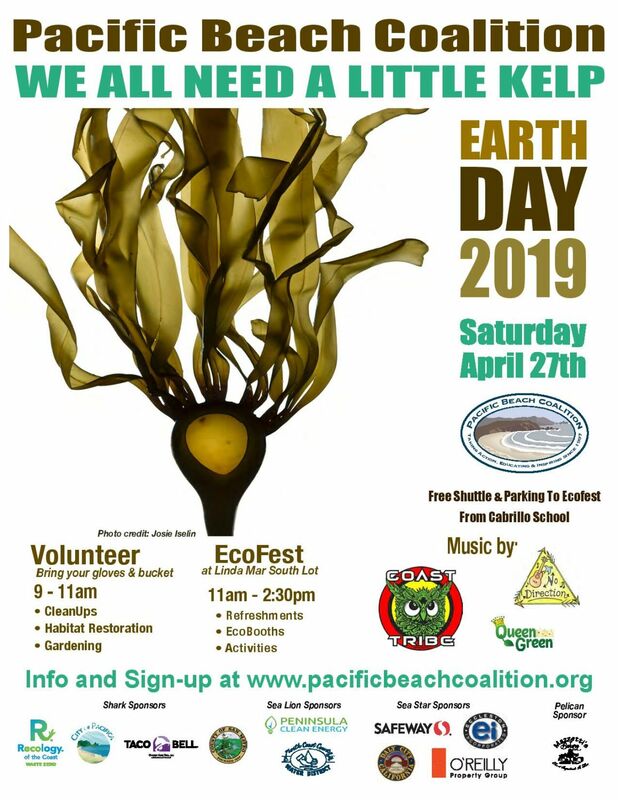 Contact us directly to partner with the Pacific Beach Coalition, or learn more about how to get your students started in coastal stewardship and learning more about protecting and preserving our ocean, beaches, coastline and natural beauty we all enjoy and appreciate! 1 School Performance: Offering environmental education programs in school improves standardized test scores. Study: Bartosh, Oksana. Environmental Education: Improving Student Achievement. Thesis. Evergreen State College, 2003. 2 Natural Settings and Cognitive Behavior: Children who are exposed to natural or outdoor settings receive benefits to their cognitive health, such as reduction of ADHD symptoms. Study: Wells, N.M. (2000). At Home with Nature: Effects of “greenness” on children’s cognitive functioning. Environment and Behavior (32), 6, pp 775-795. Critical Thinking: Through environmental education offered in schools, students increase their critical thinking skills of performance on tests. Study: Ernst, Julie (Athman) and Martha Monroe. “The effects of environment-based education on students’ critical thinking skills and disposition toward critical thinking.” 10.4 Environmental Education Research, Nov. 2004.